Rising tensions in the workplace takes on many forms, and is an ever-growing presence in schools, banks, medical facilities and businesses of every type. 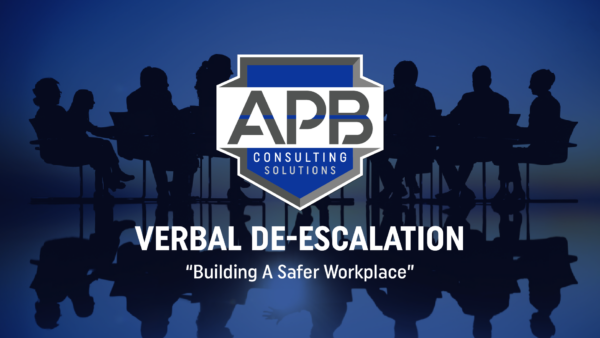 Employers as well as employees often times find themselves confronting angry students, patients, customers, co-workers or at risk citizens without warning. APB’s Verbal De-Escalation training course is designed to help you learn how to control the narrative in these tense situations and take things from crisis to calm. By learning the skills we teach, you will be confident in dealing with conflicts as minor customer service complaints, to the very complicated and potentially violent encounters. 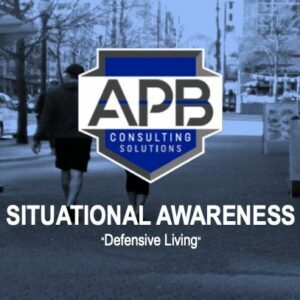 LET APB HELP KEEP YOU SAFE BY BEING PREPARED. REMEMBER, TRAINING = SURVIVAL!